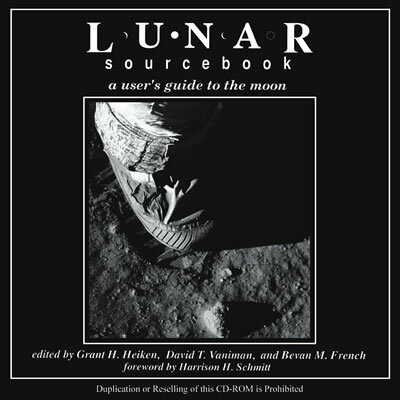 The Lunar Sourcebook, a concisely presented collection of data gathered during the American and Soviet missions, is an accessible and complete one-volume reference encyclopedia of scientific and technical information about the Moon. A digital version of the Lunar Sourcebook is now available for limited distribution. This book provides a thorough introduction to lunar studies and a summary of information about the nature of the lunar environment. It explores the formation and evolution of the Moon's surface, the chemical and mineralogical nature of lunar rocks and soils, and scientific knowledge about the nature, origin, and history of the Moon. The book is written and edited by scientists active in every field of lunar research, all of whom are veterans of the Apollo program. The contributors are from universities, national laboratories, industry, and NASA. Lunar Sourcebook is intended for the post-Apollo generation of scientists, engineers, teachers, and students. It has two purposes. First, it summarizes what we know about the Moon as a result of U.S. and U.S.S.R. lunar missions and the continuing analysis of lunar samples and data here on Earth. Second, it provides a convenient, accessible sourcebook for planning the future study of the Moon and the eventual use of the Moon by spacefaring humans.